The Chiquen restaurant at Hemel Hempstead, my home town, has a unique kind of ambience. It�s friendly and groovy, and the walls are covered with eye-catching posters all with their own alternative spellings. As a proofreader, I find this kind of thing interesting and absorbing, but I have to admit I have yet to see anyone else at the restaurant even give these posters a second, let alone a first glance! I guess they have been there long enough, since the restaurant opened a couple of years ago, I believe. I don�t know why I enjoy gazing at these fun posters. I assume it is my love of words in general. While language must have set spellings it is heartening to have the freedom to play around with words and phrases and see how the various meanings of words are subtly changed. Hence we have Cafe Fart, pitted olives become stoned olives and there's a strange play on bed and breakfast. 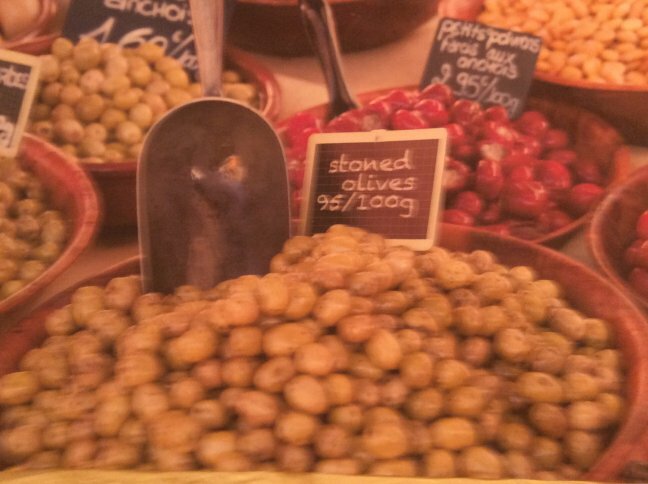 Well, here is one olive lover � I love them whether they are stoned or not! I hope you enjoy some of these photos, which the friendly staff kindly allowed me to take. How do you proofread hieroglyphics? Translators need proofreaders too The English spelling system - is it time for change? 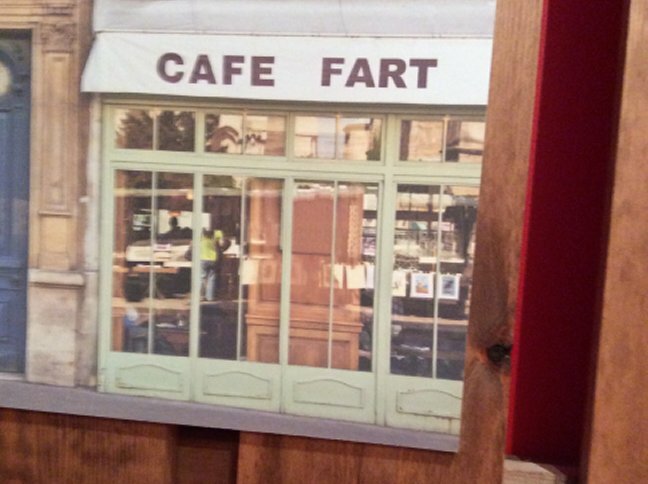 Ref: 138 I wonder whether Cafe Fart does a fine serving of baked beans.